Slow Cooker Salsa Verde Pork Tostadas from Aggie’s Kitchen will taste good no matter what the weather is doing that day! And doesn’t this look good for a school night dinner? Click here for The BEST Instant Pot or Pressure Cooker Pork Carnitas! For Friday Favorites we feature past recipes you may have missed, and I think these Slow Cooker Salsa Verde Pork Tostadas sounds delicious! In Utah I love the Indian Summer weather we get at this time of year, with crisp sunny days and cooler nights. 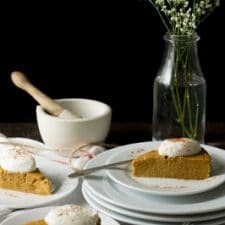 But even though the summer-into-fall weather is beautiful, Indian Summer weather can change in an instant, which makes menu planning a challenge. What’s needed this time of year are dishes that taste good in all types of weather, like these Slow Cooker Salsa Verde Pork Tostadas from Aggie’s Kitchen. 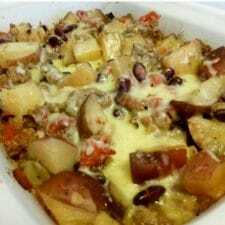 This recipe has some warm and cool components, and I love Aggie’s extra touch of heating the tortillas with shredded pork, black beans, and cheese, with avocado and onion added at the table for those who want them. 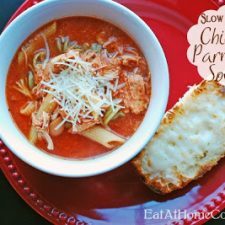 This is easy to get into the slow cooker and can cook all day while the kids are at school. It sounds perfect for a fall school-night dinner and you’ll have leftover pork tenderloin for another dinner later in the week. 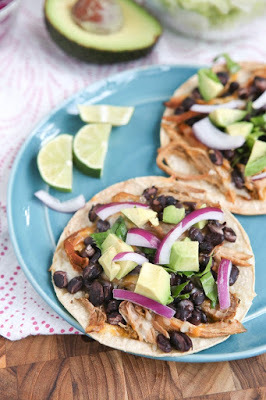 Get complete instructions for Slow Cooker Salsa Verde Pork Tostadas from Aggie’s Kitchen. Check out the Index Page for Pork to see all the slow cooker or pressure cooker recipes using pork that have been featured on this site.